The following is a press release from Sen. Spilka’s office. BOSTON – The Massachusetts Senate Committee on Ways and Means today, May 10, announced a $41.42 billion budget for Fiscal Year 2019. The budget recommends targeted investments to create opportunities and ensure access to the tools that individuals, children and families need to succeed in the economy and in their communities. “Massachusetts has long been a leader in so many areas, from education and health care, to economic innovation and protecting the vulnerable. 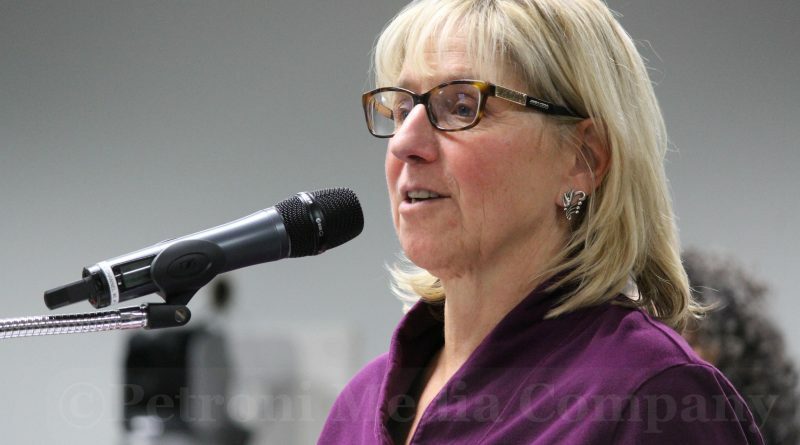 Our budget continues in this long tradition and invests in our strengths, while confronting obstacles to continued success,” said Senator Karen E. Spilka (D-Ashland), Chair of the Senate Committee on Ways and Means. “We boost funding for school districts and empower regions across the state to provide local services. We provide tools to support full engagement in the economy, recognizing that access to opportunities and support services benefit our people and our Commonwealth as a whole,” said Senator Spilka, who represents, Framingham, Natick and Ashland. The FY 2019 budget includes $41.42 billion in total spending, an increase of 3% over the FY 2018 General Appropriations Act, and invests in key areas related to education, local aid, health and human services, housing and tools for low income families. The Committee’s budget limits the use of one-time revenue sources and directs $88.5 million to the state’s Stabilization Fund. The Committee’s budget invests significantly in education for people of all ages and backgrounds and focuses in particular on elementary and secondary education, including $4.91 billion for the Chapter 70 education formula, its highest level ever. This funding allows for a minimum aid increase of $30 per pupil for every school district across the state and 100% effort reduction to bring all school districts to their target local contribution. The budget also continues to phase in the Foundation Budget Review Commission (FBRC) recommendations to more adequately fund school districts across the state and ensure high quality education for all students. The Committee’s budget continues Massachusetts’ leadership in providing health and human services, investing in health care for low income residents and vulnerable populations, services for people struggling with mental illness and substance misuse and resources for children, seniors, veterans and individuals with disabilities. In line with the Senate’s continued efforts on health care cost containment, the budget provides MassHealth with new tools to tackle the rising cost of pharmaceutical drugs, setting an annual spending target and permitting the Secretary of Health and Human Services to pursue rebates from pharmaceutical manufacturers. This policy change allows for savings without changing eligibility standards, reducing access to certain pharmaceuticals or compromising access to comprehensive health coverage. The Committee’s budget invests in programs and advances policies to encourage self-sufficiency and economic mobility for low income families, providing them with the tools to secure their essential needs and develop skills to join the workforce. Policy changes include raising the Earned Income Tax Credit (EITC) state match to 30% of the federal credit, eliminating the failed state policy that denies Department of Transitional Assistance benefits to children conceived while the family was receiving assistance and increasing the clothing allowance to $350 per child to help families secure their basic needs. The budget also continues to invest in initiatives that connect Massachusetts workers with economic opportunities and boost thriving sectors of our economy. $10.3M for summer jobs and work-readiness training for at-risk youth. The Committee’s budget invests $449.1M in low income housing and homelessness services to increase access to quality, affordable housing, a necessary foundation for people seeking to climb the economic ladder. Recognizing that each community and region of the Commonwealth has unique assets and needs, the Senate Ways and Means budget directs significant investments to local aid and community services and empowers municipalities to provide vital education, public safety and infrastructure services. $26.6M for the Board of Library Commissioners, including $10.3M for regional library local aid, $9.4M for municipal libraries and $2.6M for technology and automated resources. Senators can file amendments to the Senate Ways and Means recommendations until Monday at 12 p.m. The full Senate will then debate the Fiscal Year 2019 budget in formal session beginning Tuesday, May 22. The FY 2019 Senate Ways and Means Budget Recommendations are available on the Massachusetts legislature’s website: https://malegislature.gov/Budget/SenateWaysMeansBudget.